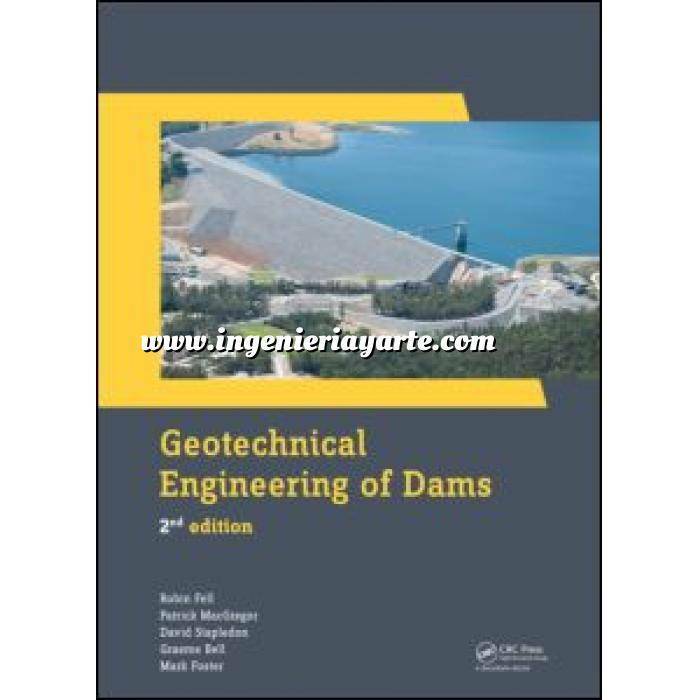 Geotechnical Engineering of Dams, 2nd edition provides a comprehensive text on the geotechnical and geological aspects of the investigations for and the design and construction of new dams and the review and assessment of existing dams. The main emphasis of this work is on embankment dams, but much of the text, particularly those parts related to geology, can be used for concrete gravity and arch dams. All phases of investigation, design and construction are covered. Detailed descriptions are given from the initial site assessment and site investigation program through to the preliminary and detailed design phases and, ultimately, the construction phase. The assessment of existing dams, including the analysis of risks posed by those dams, is also discussed. This wholly revised and significantly expanded 2nd edition includes a lengthy new appendix on the assessment of the likelihood of failure of dams by internal erosion and piping. This valuable source on dam engineering incorporates the 200+ years of collective experience of the authors in the subject area. Design methods are presented in combination with their theoretical basis, to enable the reader to develop a proper understanding of the possibilities and limitations of a method. For its practical, well-founded approach, this work can serve as a useful guide for professional dam engineers and engineering geologists and as a textbook for university students. A very important and useful aspect of the book is that it covers common errors in the five major aspects of safe dams and provides insight in these aspects by dealing with practical problems and case studies. The book very well covers all important geotechnical aspects of dam engineering for civil engineering students at undergraduate as well as at post graduate level and for practitioners. […] Academicians & practicing engineers will be able to sharpen their knowledge with the help of input provided by the book. The book is useful to civil engineers […] working in the area of geotechnical dam engineering and ground improvement. The book is an excellent contribution in the area of dam engineering. Dam Engineering has become an important area in providing efficient infrastructure for water supply, power generation as well as resources generation and conservation. The revision of the previous edition is timely and up to date. […] In summary, the treatise is comprehensive, up-to-date and needs to be studied by scientists and engineers, organizations, professional bodies, policy makers and builders connected with dam engineering. 2.11.1.4 What is the likely post failure velocity and travel distance? 2.11.1.5 What is the size of impulse waves which may be created? 11.3.1.1 Peak, residual or fully softened strength in clay soils? 12.3.4.3 Which approach to use? 16.6.1 What is recommended in guidelines? 16.9.3.7 Should vertical ground motion be included? 16.9.3.9 What do the results of analyses mean? 19.2.1 What are mine tailings? 20.1 What is monitoring and surveillance? 20.2 Why undertake monitoring and surveillance? 20.2.2 Is it really necessary? 20.3 What inspections and monitoring is required? 20.4 How is the monitoring done? 20.4.4.1 Why and where are pore pressures measured? 20.4.6 Should piezometers be installed in the cores of earth and earth and rockfill dams?